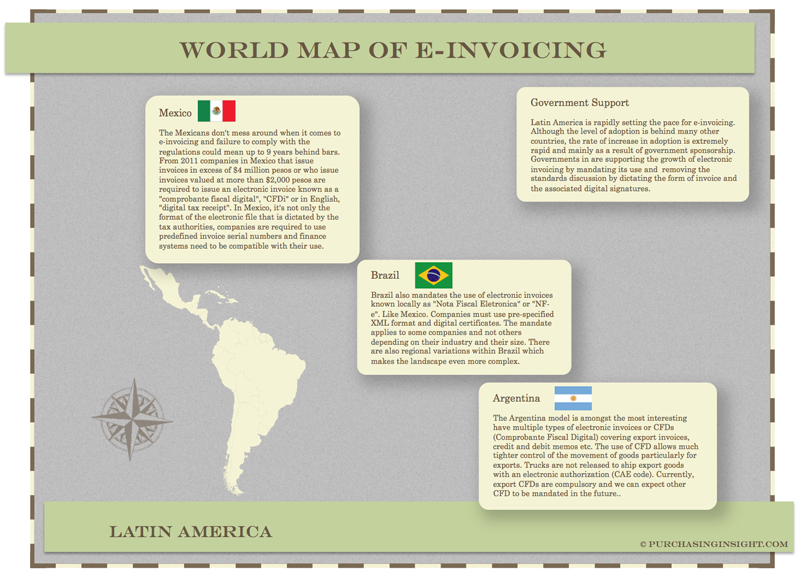 This is the third in the series The World Map of e-invoicing focusing on Latin America. Latin America is rapidly setting the pace for e-invoicing. Although the level of adoption is behind many other countries, the rate of increase in adoption is extremely rapid and mainly as a result of government sponsorship. Governments are supporting the growth of electronic invoicing by mandating its use and removing the standards discussion by dictating the form of invoice and the associated digital signatures. The Mexicans don’t mess around when it comes to e-invoicing and failure to comply with the regulations could mean up to 9 years behind bars. From 2011 companies in Mexico that issue invoices in excess of $4 million pesos or who issue invoices valued at more than $2,000 pesos are required to issue an electronic invoice known as a “comprobante fiscal digital”, “CFDi” or in English, “digital tax receipt”. In Mexico, it’s not only the format of the electronic file that is dictated by the tax authorities, companies are required to use predefined invoice serial numbers and finance systems need to be compatible with their use. Brazil also mandates the use of electronic invoices known locally as “Nota Fiscal Eletronica” or “NF-e”. Like Mexico. Companies must use pre-specified XML format and digital certificates. The mandate applies to some companies and not others depending on their industry and their size. There are also regional variations within Brazil which makes the landscape even more complex. The Argentina model is amongst the most interesting. They have multiple types of electronic invoices or CFDs (Comprobante Fiscal Digital) covering export invoices, credit and debit memos etc. The use of CFD allows much tighter control of the movement of goods particularly for exports. Trucks are not released to ship export goods with an electronic authorization (CAE code). Currently, export CFDs are compulsory and we can expect other CFD to be mandated in the future. 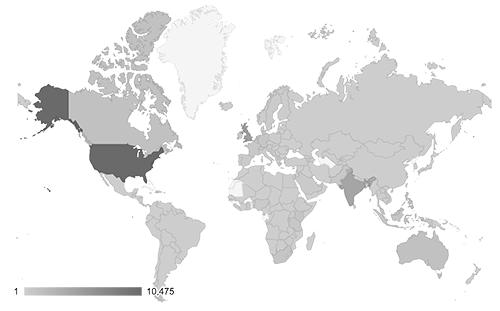 Do any of these countries use the Universal Business Language (UBL) – or did they re-invent their own proprietary markup?